Since I joined the modern world in getting a smart phone last year, I’ve been on the lookout for great gardening apps that can help me explain landscape design ideas to clients, get plant ideas on the go, or just give me a productive way of killing time when I’m stuck in line at the post office. Unfortunately, my first forays into gardening apps turned up some shallow and disappointing picks – things that would be great for the weekend warrior crowd at Home Depot who want to know whether they should plant primroses or violas, but pretty useless for anyone who actually cares about gardening. Luckily that’s all been changing, as some real professionals have entered the market in recent months. Here are a few of the apps I’m enjoying right now, and those that I am looking forward to trying once they’re out for Android phones. My pal Susan Morrison is a landscape designer and garden writer in the San Francisco Bay Area, and she really knows her stuff. You might remember her as the author of Garden up! Smart Vertical Gardening for Small and Large Spaces, which was an Amazon Best Books of 2011 selection. The app is meant to provide foolproof plant ideas which will work in a variety of situations in the average residential garden. While I am usually pretty harsh on resources which try to provide planting information that would be good all across the country, this app actually does a fantastic job of walking the line and recommending plants that will tolerate a variety of different zones and garden conditions. Part of the reason the app is so successful is that Susan hired a variety of experts from around the country to give their feedback and help edit the information before releasing the app. Since we’re friends, Susan consulted me about the landscape maintenance aspects of her advice, and I read and gave feedback on the information prior to its release. 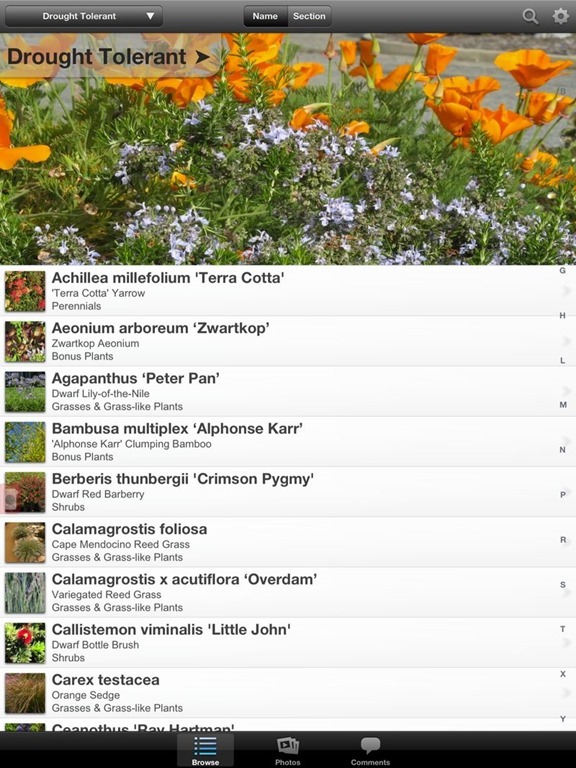 What I love about this app is that when you’re at the nursery or out in the garden, it’s pretty easy to search the plants by their category, such as white flowers or groundcovers, and narrow down a few choices that you know will do well. Susan also includes some great generalized planting advice and garden maintenance advice in case you’re feeling a little overwhelmed by the how-to aspects of getting your garden growing. Is this the most exhaustive app out there? Nope. There are only about 100 plants here, and Susan makes no bones about the fact that this isn’t meant to be your only landscaping resource. However, if you’re feeling overwhelmed by the idea of choosing some basic landscape plants that are going to perform well and look good under different circumstances, Susan’s picks are sturdy, attractive choices that will do well across the Pacific Northwest and around the rest of the country. 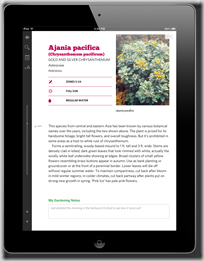 Buy Plant Picks on Google Play or the iTunes Store. While Susan Morrison’s Plant Picks app aims to simplify the options available and make plant choices foolproof, Allan Armitage looks to inspire us with new ideas for those gardeners who crave a bit of extra flower and foliage color, and are willing to go the extra mile by spending a little more money at the nursery and a lot more time in the garden caring for these exciting plants. The app is published by the same company that did Susan’s Plant Picks app, so the method of searching for plants will be familiar for owners of both apps. For me, I click on the Menu button in the corner of my screen and then click on Categories, which pulls up a list of checkboxes for different plant attributes that I can search. I particularly love the “weird and wonderful” section which has panda ginger, waffle plant, eyeball plant, and some other exciting things that I’ve never grown just because they’re expensive and I’m not entirely sure whether I’ll be successful with them. But with Armitage’s blunt and humorous hints for success, I’ll be feeling a lot more adventurous in the annual section of my local nursery. The only small critique I have about the Armitage Perennials and Annuals app is that Armitage’s zone listing only goes from zones 3 to 8. While pretty much everything in the 7 to 8 range will do just fine in my zone 9 climate, the app would have felt more complete had the USDA zones gone up to 11. That said, this app is a lot of fun, and if it gives me the courage to try just one new plant each gardening season (and the info I need to grow it well! ), the app will have been worth the price. 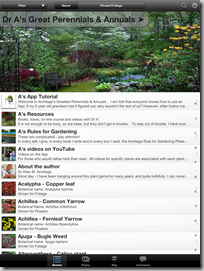 Buy Armitage Perennials and Annuals on Google Play or the iTunes Store. You all know what a fan I am of the Sunset Western Garden Book for my coastal Pacific Northwest climate. That’s why I’m so disappointed that their new app format for the book is only available for iDevices thus far. Fortunately, I reached out to Sunset and they say that the app should be compatible with Android phones via the Inkling app by the end of the year. In any case, the Sunset book is one of the rare books where I try to keep a spare copy in my truck as a reference at all times. Since I’m always trying to go minimalist and digital where possible to save space, I can’t wait for the Sunset Western Garden Book to be available on my phone so that I can get rid of the muddy and well used copy in my truck. Buy the Sunset Western Garden Book on the iTunes Store. While Michael Dirr is located on the east coast and is primarily an expert on woody plants for cold climates, he is such a thorough, good-natured, and well-respected guide that I keep his reference books handy at all times, even though some of the advice doesn’t suit my climate as well as it does the East Coast. There is nobody else that bothers to tell me the minute differences between a few Spireas that look identical, or delves into topics such as how to pollinate your Viburnums so that they’ll produce those stunning berries we all want come fall and winter. 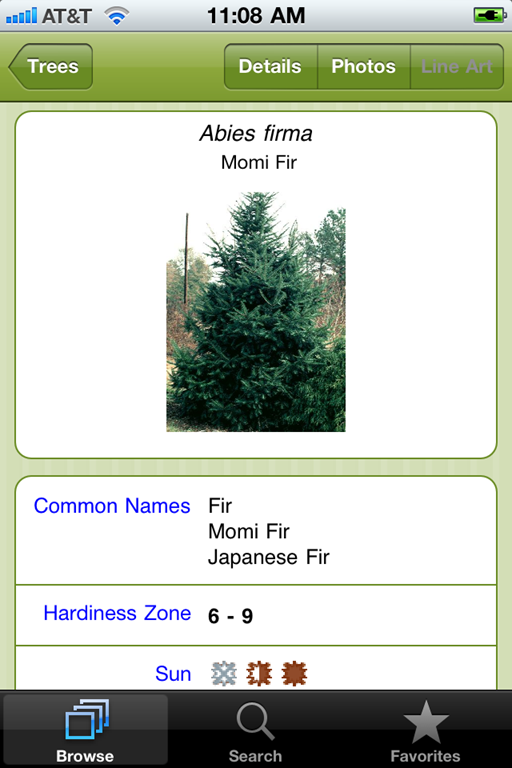 So Dirr’s Tree and Shrub Finder app is another that is on my to-buy list as soon as it comes out for Android. Timber Press doesn’t currently have any plans to release it on Google Play, but I would imagine that if it does well for iPhones, they would consider releasing future versions for us Android users. Though I haven’t tested this app, I have some idea of what to expect because years ago, I actually spent over $100 on a searchable DVD-rom from Dirr which looks like it was pretty similar to this app. You can search for a specific plant, or search by different attributes such as trees that will grow in zone nine and don’t get taller than 15 feet. I loved that DVD and used it often when brainstorming new ideas for my landscape plans so that I didn’t get stuck in a rut using the same old plants every single time. It was also great when I found an unusual variety of a shrub that I was already familiar with, and just wanted to know more about how was going to behave. The idea of having all of that information on my phone is very appealing. 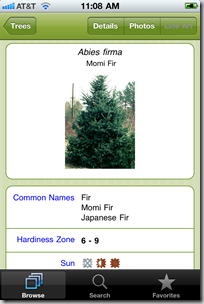 Buy Dirr’s Tree and Shrub Finder at the iTunes Store. Recently, a fellow landscaper showed me two different apps on his phone, iScape and Hardscape. Both of these apps do similar things, where you take a photo of a home or landscaping space with your phone, and can quickly add bed lines, lawn, patios, flowering shrubs, and other elements which make it easier to visualize making a change to your landscape, or communicate your design ideas to someone else. While neither of these apps seems perfect (they both have average user ratings of 3 stars out of 5), if I had an iPhone I would certainly download the free versions of both and test them out. I was also excited to hear about the release of the Washington Wildflowers app this month, which photographer Mark Turner worked on. Though I don’t live in Washington, there’s a lot of overlap between plants in my far northern California/ Pacific Northwest climate, and the ones featured in his app. The photography is stunning, as expected, and it’s getting good reviews already even though it’s just come out. Available on Amazon for the Kindle Fire, Google Play, and the iTunes Store. Another type of app I’ve been interested in testing is something similar to this Landscape and Garden Calculators app. The idea of being able to quickly calculate materials while outside in the landscape is very appealing, and while my phone does have a normal calculator, I like how an app like this would make doing quick garden calculations, like how much potting soil or mulch I need, a lot easier. This particular app has mixed reviews, which make me hesitant to pay $7.99 for it. If anyone’s used something similar that they would recommend, please let me know. 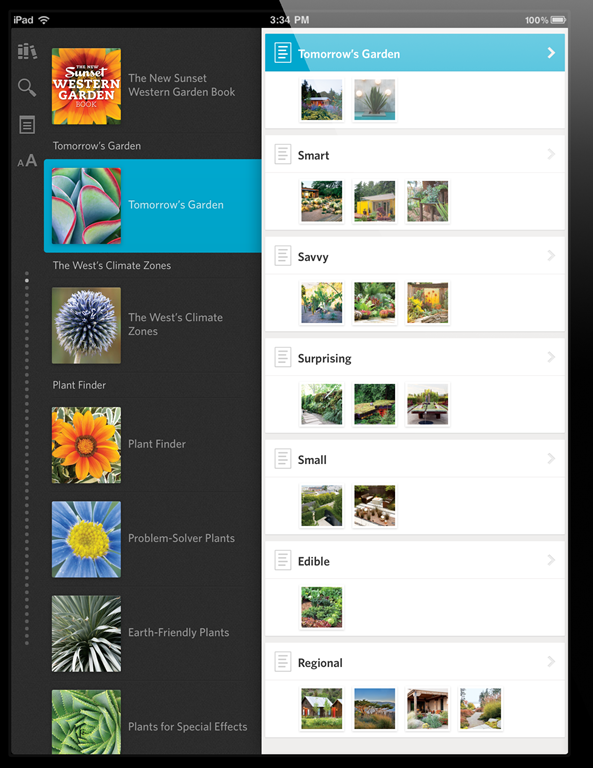 Have you tried any garden apps? Let me know your experiences in the comments below. Great round-up of apps here, Gen. 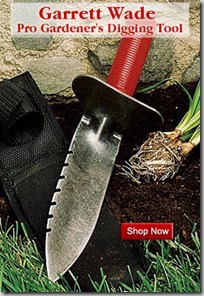 I continue to be amazed at the lack of quality gardening apps out there. The only one here that has me tempted is the Dirrs one, it I have to be really convinced to spend that kind of money on an app. 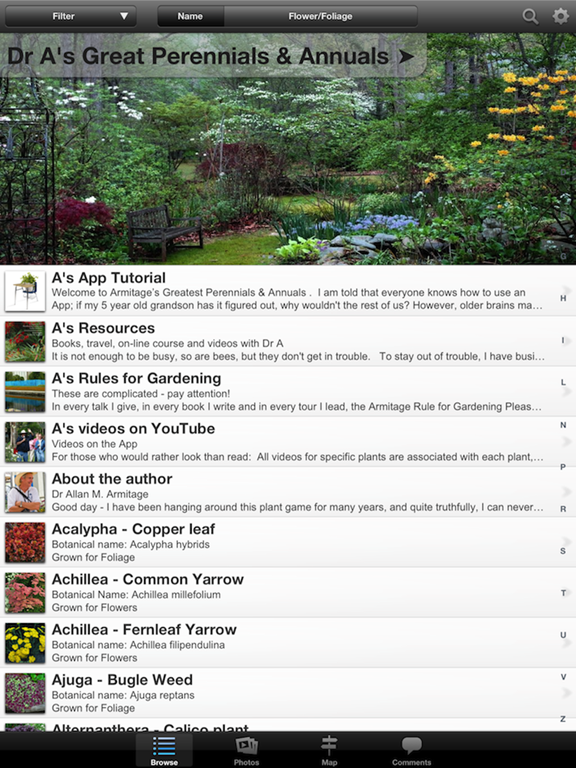 My thing is that I’m interested in apps that I’ll need in the garden or at the nursery. At home it is easier for me to reference a book or the Web. I would definitely go for a comprehensive and frequently updated app on perennials but that would probably be cost prohibitive to produce and manage. A materials calculator would be great but the most I’d pay for it would be $1. After all there are great calculators on the Web and its not that much harder to just connect to a bookmark to get there. Great point about the garden calculator apps and how you can get that info online, Erin. I always forget that I am connected to the interwebz with my phone (palm to forehead). I must admit, I usually evoke a look of surprise when I pop out my smart phone (and know how to use it) around younger generations. I’ve always enjoyed electronic gadgets (I remember the thrill of when I received my first transistor radio back in the mid-60s) and today’s mini, pocket-sized computers are fun and very useful. I love the idea of carrying a stack of books with me wherever I go – especially great references like those listed above. People often come to me with gardening questions, but I am very far from having all the answers – or even a small percentage of them – so these apps may allow me to encourage others to do a little research on their own smart phones. 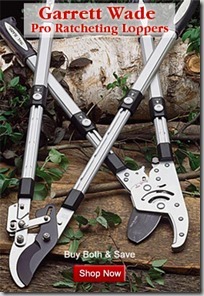 Tools like these will certainly come in handy in my favorite garden centers when I am being tempted to try new plants outside of my experience. Thank you for your rundown on these apps. I could see this becoming a regular feature for your blog (hint, hint). That is so cool, Ed. Yes, that’s my feeling too – it’s amazing to be able to carry a stack of easily-searchable references with me wherever I am. I’d love to make this a regular feature; my problem is that so many of the apps I see are absolute garbage! However, perhaps some careful criticism would allow app developers to do a better job on future incarnations. Thanks for including my app in your review, Genevieve! And in response to your comment to Ed about careful criticism, there are two things that I have found rewarding about creating a garden app vs. a traditional book, ebook or magazine article. The first is that users can leave comments or questions directly in the app, which not only allows me to answer questions specific to their unique circumstances, but also means users can tell me directly what they would like to see more of. In fact, Sutro Media encouraged me to publish sooner rather than later and let readers guide improvements with their feedback. The second is I have been able to keep the app relevant by adding new plants, and even amending information on current ones as it becomes available. I love it that once you’ve bought the app, you’ve bought it for good, with no need to pay more for future upgrades. And that is why I will always buy the things that you put out, Susan. This spirit of wanting to respond to comments and wanting to keep updating your work is beautiful. I actually noticed all the back-and-forth inside the app and was astonished that you manage to keep up with that. And you even added some additional plants today, didn’t you? That’s definitely a huge strength of digital vs print. Especially when paired with an author who is as invested in her work as you are! Gen, I have most of those apps and a few more. One app I do like is LeafSnap that is a field guide of sorts. It helps you ID plants by their leaves and also upload your own photos. Two apps that I couldn’t live without, but that have nothing to do with landscaping, are my panoramic camera app and dropbox. I don’t know… I just can’t get excited about gardening apps. Nothing against those mentioned here as logically I understand their utility, but emotionally, bleh. Maybe it’s because the garden is my escape from technology, but garden apps don’t do it for me. That being said, I do whip out the phone to research plants before I make impulse buys. I continue to be amazed at the range of apps out there. That said, I agree with Alan. I like the peace I feel when I commune with nature. My communication is limited to that and my smartphone stays in the house. 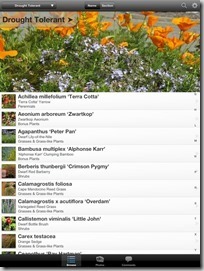 I use a new app that was launched this month called Garden Organizer for iOS. It’s .99 and allows you to create plant tags and drag them onto photos for recording where plants are and tracking their growth. I can export my garden data via email and .csv for advanced tracking. Worth a look! A great app that’s recently out is called Garden Compass. 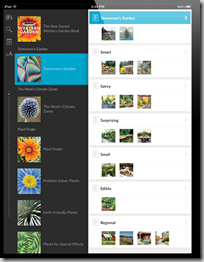 Take a picture with your phone or tablet and it identifies plants, bugs, problems etc using real, live horticulturists. They are launching a web store with unusual garden things mid-october at GardenCompass.com. Worth a look all the way around.